Ok well after owning the Mitsubishi Outlander PHEV for over 6 months now it is time to share our experience. Initially when we purchased the PHEV there were a couple of things on the test drive that I was concerned about. As I drove a Gen 1 Toyota Prius for over 5 years I have had good experience with Hybrid vehicles before and one of the things I disliked about the Prius was when the petrol engine engaged. I wanted to avoid that in my next hybrid/electric vehicle purchase as much as possible so I was very concious of this when test driving the PHEV. 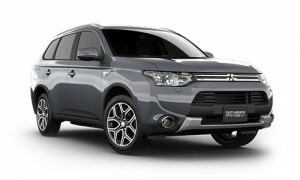 What I have found with the PHEV is that you can comfortable use it as a daily driver without the petrol engine engaging at all, Mitsubishi have given the electric drive chain enough power to enable you to accelerate at an acceptable level before the petrol engine has to “kick in”. My wife drives the PHEV on a daily basis to take the kids to school and do the normal running around, while I drive the Holden Volt as my daily driver. When we purchased the PHEV the goal was to keep it charged during the day (using the solar panels on our home) and therefore avoid charging off grid electricity and using peak tariff. I can happily say our goal of charging the vehicles using solar is working and we have had no extra costs added to our power bill since purchasing the two electric/plug-in hybrid electric vehicles. In relation to the short battery range of the PHEV, we have actually not found this as a big a problem as you might expect, the reason being that school is approximately 8 klm from home so we easily go to school and back and then plug the vehicle in whilst it is at home. What this means is that for every day usage we have no need to use petrol at all. When we to take the PHEV on a long drive, a very cool function is the ability to put the vehicle in charge whilst driving, this means the petrol engine powers the vehicles drivetrain whilst also acting as a generator and charging the batteries at the same time, this then gives you a full range of around 400klm before you need to find a petrol station to refuel. 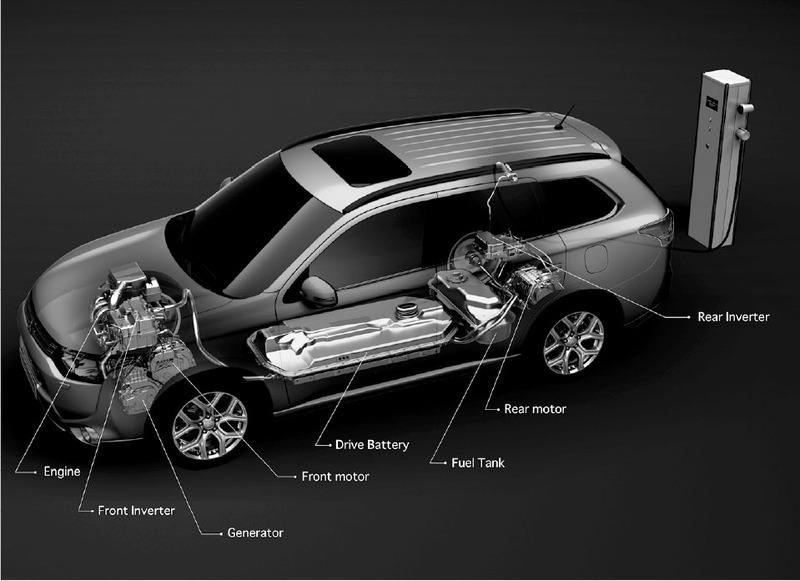 So in summary for a first generation SUV Plug-in hybrid electric vehicle I am very impressed with the Outlander. I am sure as technology improves we will continue to see longer ranges and more power but for the time being there is not a lot of choice and the PHEV does exactly that it is designed to do.